The newer variant in Oppo’s Realme lineup, the Realme U1 will be up for sale tomorrow, on December 5, at 12 pm in India, via online portal Amazon. Realme phones have suddenly taken over Xiaomi in the country in terms of budget based phones with brilliant specs under greatly affordable prices. 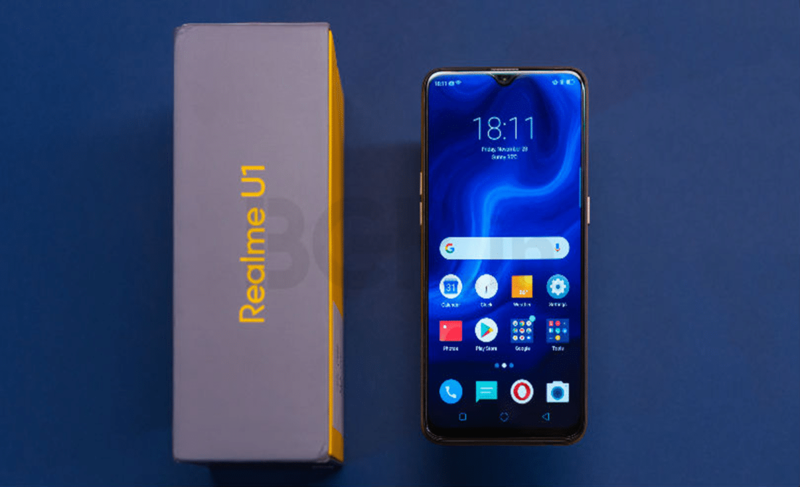 The trend started earlier this year with Realme 1 that nearly killed off every other mid-range smartphone brand upon its launch. The Realme U1 was released last week and it’s the first phone in the series to have a MediaTek Helio P70 AI processor, based on 12nm architecture, which is way faster than the previously great P60 chipset (used in Realme 1). The P70 AI octa-core chip in the Realme U1 clocks at 2.1GHz, combined with the GPU of Mali-G72. So it means that playing games like PUBG, Asphalt 9 Legends and using other heavier applications will turn out to be a smooth experience for the users; and there is also gaming optimization for games supporting 60fps. The phone comes with a 6.3inch Full HD+ LCD display, with a teardrop notch and AI cameras for great selfies and amazing photos. The screen has an aspect ratio of 19.5:9, and is protected by 2.5D Corning Gorilla Glass 3. Coming onto the optics then the U1 has got a dual-rear camera setup of 13MP+2MP AI lenses for portraits (bokeh) and depth of field effects. On the front, there is a huge 25MP AI SONY IMX576 lens for capturing portraits and selfies. There are other handy features too like HDR, AI Beauty, Night Shot and studio quality portrait lighting too. The phone can also shoot slo-mo videos. For ensuring a durability of performance throughout a whole day, the phone has a large 3,500mAh battery supported by AI Power Master. The phone supports dual-SIM, Dual Volte, and microSD card support up to 256GB. There will be two variants of the phone available on sale. The first one will be a model of 3GB RAM and 32GB of storage, priced for Rs.11,999, and another one being a 4GB/64GB model, priced at Rs.14,499, in the color options of ‘brave blue’ and ‘ambitious black’.